Manuscript Critiques—A Help or a Hindrance? Although I knew about Susanne Lakin’s excellent blog LiveWriteThrive some time ago, I only met her recently at the Fremont Area Writers Self-Publishing Conference, where we were both presenters. Susanne is an accomplished novelist, editor and writing coach who runs popular writing workshops and generally is a real champion for authors. Today she takes on the valuable—but often feared—manuscript critique. Critique. Just the word makes authors cringe. Why? Because it reminds us of another word that has a negative connotation: criticism. Yet, authors understand the need to have another pair of eyes look closely at their manuscript and give them constructive advice and direction so they can make their book the absolute best it can be. But an unprofessional, misguided, or inconsiderately toned critique can cause great heartache and discouragement, so should we authors really risk our already fragile writer’s ego and let someone tear our precious work apart? Will a good critique be worth not just the money but the emotional cost? Some copyeditors claim you should never get a critique because it is entirely subjective. They say all you need is to get your book edited by a copyeditor and fix all the grammatical mistakes. And it’s true that getting a thorough copyedit is essential. But few writers think about getting their book critiqued first. Sure, critiques are subjective. But when a novel or nonfiction manuscript lands on a literary agent’s desk, or is placed in an acquisition editor’s hands, it will be read subjectively as well. But here’s the thing indie authors need to understand: a professional in the publishing industry will temper a subjective read with years of experience. They understand established or accepted writing styles, structure, and formatting, and they have a honed sense for an original and compelling writer’s voice. There is no such thing as an objective critique, but that should not be an issue. Getting an insider’s take on just how well your book holds up is invaluable and can save you from getting dozens of bad reviews and floundering in poor sales without knowing why, which can leave you more discouraged than ever. A supportive critiquer will encourage you, instruct you, and help you along this rocky road, without attacking you or heartlessly tearing your work to pieces. A good critique should thoroughly address all the major elements in your novel or nonfiction manuscript, and preferably using an annotated style (with comments along the margins of each page) rather than just an overall summary at the end of your manuscript or in a separate document. I have seen some of the worst manuscripts—poorly constructed, wordy, almost unreadable—turned into beautiful, well-crafted books that their authors are proud of. I have seen many of these authors get agents, land contracts, and get published because they were willing to work hard to take their rough work and perfect it to the best of their ability. These authors show they are dedicated and willing to learn and listen. But I wonder how many (or few) of them would have dug in to their necessary revisions had they been treated insensitively in a critique. Of course, there is no guarantee that if you follow all the suggestions in your critique that you will top the best-seller lists. So many variables affect that outcome. But applying yourself to make the changes suggested in a good critique will stretch you and teach you how to be a better writer, and as you apply the things you learn, your chances of reaching your dreams will improve immensely. Do some research and ask possible editors you are considering hiring for testimonials from clients. Start a dialogue with the editor to see how friendly, responsive, understanding, and compassionate she (or he) comes across. And take a look at the editor’s concrete experience and influence in the publishing industry. However, don’t expect her to drop everything and answer dozens of e-mails packed with lengthy questions. Don’t expect her to be available to talk on the phone either. A potential client wants to feel safe and needs to build a measure of trust with the professional she is dealing with, and that’s understandable. But editors are busy—not just editing but with our personal lives as well, just as are doctors, dentists, and nurses. Answer any questions she may have to better help her understand your objectives in your story. Provide her with a synopsis or story summary (for a novel) or a book proposal (nonfiction) if you have one; that’s a great help. Let her know any specific areas of your manuscript that you have been struggling with or want her to especially focus on. When your critique is done, take all the suggestions to heart and make the changes you feel will best suit your writing style and story. Ask questions regarding anything mentioned that you don’t fully understand. Don’t take the critique personally. You are not your manuscript, although sometimes it feels that way! Not every comment included in your critique will work for you. But you’re the author and it’s your book, so weigh each suggestion and trust your intuition. As long as you keep your mind and heart open to ways to improve, your critique will feel less like criticism and more like a gift. C. S. Lakin is the author of twelve novels, including the fantasy series, “The Gates of Heaven,” with the first three books now out in stores and online in multiple formats. She also writes contemporary psychological mysteries, with her Zondervan contest winner, Someone to Blame, having been released last October. She works as a professional copyeditor and writing coach and loves to teach on the craft of writing. Her new websites are dedicated to critiquing fiction (www.CritiqueMyManuscript.com) and building community to help survive and thrive in your writing life (www.LiveWriteThrive.com). Come join in by following @livewritethrive on Twitter! You can read more about her at www.cslakin.com. As an editor, I found this article to be amazing and spot-on. I enjoyed the varied comments as well and found that they mostly all (if not all) had truth to them (yes even the ones against critiques). That’s the funny thing about life and writing: All people, and all authors, need to find what works for them. That said, a professional critique is something authors hoping to publish should at least be aware of and should give some thought to. I read this with interest as I’m also a writer and editor. It’s an excellent piece. I’d add two points. 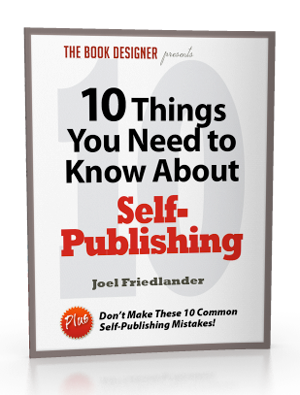 First: you mention that there’s no guarantee the resultant book will be a bestseller. True–but I’d add that there’s no guarantee it will sell at all. There are simply too many factors involved for anyone to make that promise. All an editor can do is give the work its best chance–and teach the writer some craft lessons that will come in useful in everything they go on to write. Second: Before settling on an editor or evaluator, writers should ask for a sample edit or evaluation of the opening pages of the ms. Most editors will do this for a nominal fee, because both sides have an interest in making sure there’s a good fit. Not every editor is right for every writer. I got a professional critique of Lethal Inheritance way back before I sent my ms to beta readers or agents. I selected the person very carefully, checking their credentials and whether they were familiar with the fantasy genre. It was the best thing I did at that early stage because it was my first book. She gave me the confidence to carry on by telling me that the story was a good one and that it had a place in the market. She also told me what I needed to fix. What she didn’t tell me was how to do that or how to improve my prose. I had to find that out myself. Even though I had 10 beta readers look at Lethal Inheritance before I got an agent, but only one of them was a professional author, so the ms appraisal was important for me at that stage. I wouldn’t pay for one again though. Now my beta readers are all authors or people with writing related degrees so I don’t need to pay for a professional appraisal. Working with beta readers is better because you get several opinions instead of one. These days I’d rather spend money on a good structural edit than a ms appraisal. Tahlia, your process and experience is great. Now that you’ve had a professional critique and have written more and have authors helping critique who are on a professional level, you can bypass the professional paid critique. I think this sets a good example of the progression from beginning to experienced writer. Thanks for sharing. I think an important question is, would the critiquer, if he/she had never met you, buy the sort of book you wish to write? Unless the answer is “yes”, the person is not part of your target market, and you face the real danger of being told to alter your book to satisfy some other market, and you will end up with some sort of hybrid that satisfies nobody. The general critique is probably valuable, particularly for the beginning writer, very early in the writing process, but if there are fundamental flaws in the finished copy, after a few weeks away from writing, either the author can see them him/herself, or he/she cannot. If the latter, give up. If the former, fix it. The important point is, a critique is subjective, and the argument about being suitable for the agent is wrong. You write in what you believe. Agents reject just about everything that crosses their desk, and pick only what they think will fly in their estimate of the market. These are good points, Ian. I disagree, though, that a critiquer needs to be interested in a writer’s genre or book itself in order to give a good critique. Elements of a novel, such as plot, premise, pacing, building tension, believable characters, rich setting are all things an editor can critique well regardless if the book is in a genre she doesn’t read or even doesn’t like. I often edit and critique novels that would never interest me as a reader but I have no problem seeing the strengths and weaknesses of the project and can give appropriate advice for making the novel better within the specifications of the genre and style of writing. I never push a writer to adjust his writing to fit the market or the whims of an agent. My goal is to help the writer write the best book he can, and tell it in the most effective way possible. Again, the writer’s aim, audience, voice, along with the books themes and premise, are all to be respected and brought to shine, not squelched. C. S., I agree with what you are saying, IF you can find such a good person. It is only too easy for the writer to find someone with far less skill and ethics. I agree, Susanne, you definitely do not need to be personally interested in a genre to do a great job of critiquing. A good critique can be invaluable and part of the serious writers arsenal. It’s important to stuff your ego in your back pocket and listen to all critiques–the good, bad, and ugly. Some people are good at critiquing, others not so much, but in every critique there is at least a shred of truth that might be useful. The hard part is to take in critiques and objectively analyze them. You have to develop a sense of what is useful and what is not. Personally, I find it easier to deal with brutality than with gushing approval. Approval makes me uneasy; disapproval is something I can act on one way or another. I see a distinction between a critique and a developmental edit. Manuscript development aims to point out what’s wonderful and what’s not working. Sometimes there’s a lot more of the latter. Then the editor suggests solid ways to improve it. The work requires diplomacy, kindness, compassion for the writer and empathy for the writing process, as well as a keen knowledge of what works. C.S. is quite right that editors look at the ms. from the professional’s point of view. Most self-publishing authors could use more of that. I definitely would not take every critique to heart. An author needs to distinguish between a helpful critique with information that improves the work, and blather from a critic with her own agenda. Where to find good developmental editors? Go where the editors are, which is not craigslist or elance. For starters, I recommend Bay Area Editors’ Forum (editorsforum.org), where I hang out myself. I’m glad to see writers having good experience with getting critiques. I also encourage writers to seek out some critiquing very early in the writing stage, if possible. Having a rough fifty pages critiqued before going forward can really help you see what pitfalls you may be approaching, and it’s always easier to revise before your writing is “set in stone.” I’ve learned over the years the best time to kick things around with my critique team is at the planning stage. My two daughters are my toughest critiques and they give me that scowl that says, “No way, Mom. That’s just not gonna fly.” They’re usually right too. I agree wholeheartedly with the value of the critique, especially for folks learning to write. In today’s self-published world, people are writing in a vacuum. We are spread out all over the place and sometimes don’t have access to peers or mentors. A good unbiased critique or two, early on, is a good way to make sure you are on-track. I consider it education. This was a great post. In November I had a manuscript critique done for my first novel. I received a well-organized and very thoughtful assessment of my manuscript’s strengths and weaknesses. I think my editor did a great job and showed me what problems I must address to bring the manuscript up to professional quality. It will take me months to make all the changes, and I’ll still need a strong copy edit after that, but I know the effort will greatly improve the final draft. I strongly recommend any new author seriously consider getting a critique from a good editor. I think that critiques are really valuable when you are learning to write and find your style. I also think they are most valuable on shorter work, where the critique editor can really focus on your mechanics, instead of it turning into a critique of the story. I would suggest getting critiques for short stories first, so that the 5-20 pages you get back is really focused on what you need to correct most, and you are not overwhelmed with suggestions. I feel that it is wise for people to not use a critique in place of a traditional editor and proof-reader. I have to give kudos to Writer’s Digest’s critique service too. It is affordable for short work and the one I had completed was incredibly detailed. The information in the margins was superb and the advice was spot-on. All of the information was delivered in a professional manner. I spent less than $50 for the short story critique, and it was one of the best investments I have made in my author journey. After the first critique of my first manuscript I cut 30%, some of it content but most of it by removing extraneous text and restructuring sentences. I lost 30% but made it 100% better. Over the years, I have had several writing critique groups/critique partners. Early on, I took every comment to heart and continuously edited based on others’ critique, sometimes changing the same thing numerous times based on different feedback. As I found my voice, I became better able to distinguish suggestions and act on those that really made sense for the piece. Last year, I hired a professional developmental editor to help prepare my novel for self-publishing. What an amazing learning experience. I thought she’d just correct spelling and comma’s-her feedback was so much more, helping me to deepend characters, sense of place, and root out “convenient” plot twist. I hirely recommend this step to all serious writers. A paid-for in-depth critique can be helpful, but sometimes a quick free critique from an amateur can be very valuable. In the summer of 2008 I showed the first proof of my first self-pubbed book to some neighbors at a backyard cookout. The title was I Only Flunk My Brightest Students: stories from school and real life. That title was a quote from a nutty teacher who was written about in the book. The high school buddies who suffered along with me recognized the quote and laughed, but no one else did. Some people were merely mystified and others thought that I had been a teacher. I revised the title to Stories I’d Tell My Children (but maybe not until they’re adults) and the book has sold thousands of copies worldwide. That would never have happened without the critique. Professional editors can provide important and valuable insights — but so can ordinary people who may be more representative of potential customers. Both kinds of critiques are important. Very true. I make sure to give a late draft to some English-as-second-language people and to people not well-versed in my topic (American history) to see if it is make sense to them and is readable. They’ll tell me if something is confusing either because of the language or their lack of history knowledge, which I can then fix. They often catch things more professional editors miss.